Today it's time for a walk down memory lane. I'll be reviewing the 8-bit Nintendo classic Mega Man. It has spawned at least 50 sequels on various consoles and was one of the most popular games on the original Nintendo system. This was in my top 5 favorites on the 8-bit machine along with Super Mario Brothers, Mike Tyson's Punch Out, Bionic Commando, and Contra. The one thing these games all have in common is their replay-ability. I spent a good portion of my elementary and middle school years playing these games, probably in the thousands of hours, as depressing as that admission may be. 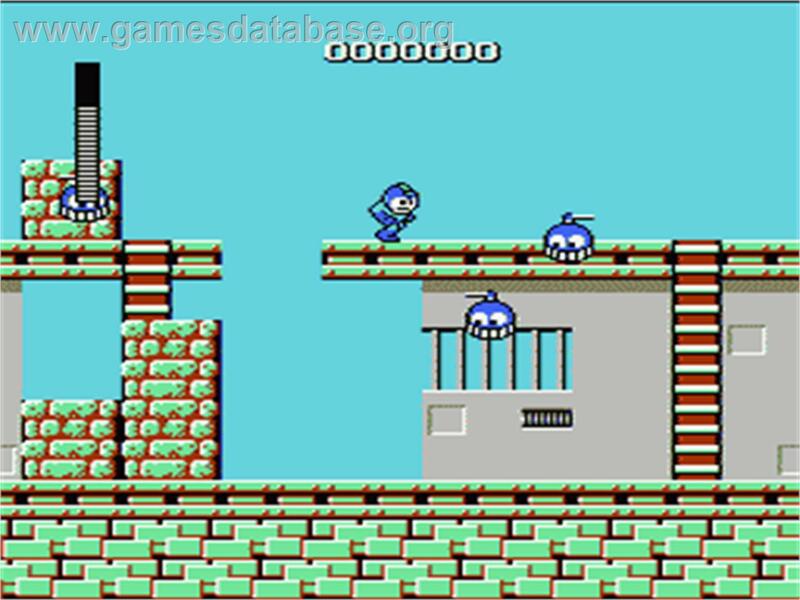 Mega Man's boss fights and weapon upgrades were a first in those early days of gaming. 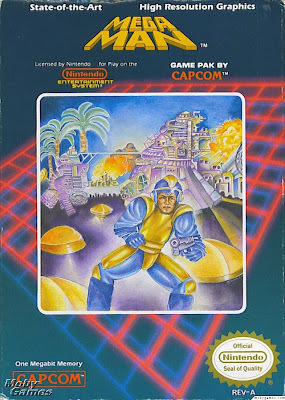 For those who were on Mars and didn't play Mega Man, it was a side-scrolling shooter-type game where you had to face a series of six enemies before facing the evil Dr. Wily in order to finish the game. Once you beat an enemy you were able to take on their powers in order to use them against the rest of the evil robots you faced. All seven robots, the evil six and Mega Man, were created by Dr. Light. However, his assistant Dr. Wily stole the robots and re-programmed them to follow his evil commands. Mega Man was the only one who was able to withstand the re-programming and he is tasked with fighting through his former brethren in order to stop Dr. Wily. As if you couldn't guess, Bombman throws bombs at you. Once you reach him, he jumps around the room tossing bombs in your general direction. As long as you could avoid the explosions, he was a relatively easy boss to take down. His only chance was to get you stuck in a corner and blast away. If you kept moving, you were probably fine. I usually started off with Bombman due to his easy beat-ability. It's like basketball, start shooting layups and work your way out to three pointers to build your confidence. Gutsman, on the other hand, was one of the most difficult levels in the game. Not only was his level one of the hardest, Gutsman was one of the two hardest bosses in the game. Gutsman would jump into the air. When he landed, it could not only damage you, but it also dropped a boulder that he would throw at you that caused considerable damage. Using the power you gained from Bombman was the best way to take him down. Hitting him with three bombs was enough to waste him and move on to the next level. Cutman's level was a lot harder than he was, but there was a key to beating him that, if you screwed it up, meant your life. I died a lot more falling from beams in this level than I ever did from Cutman. The aforementioned key to beating him involved using the power you gained from Gutsman. 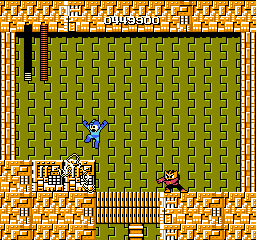 Cutman was probably the most agile opponent you faced. He flew around the room and tossed boomerang-shaped scissors at you. There were two boulders in the room that you had to pick up and use to hit him. If you scored on both hits, he was done. If not, you were probably the one that ended up dead. Elecman was another of the more difficult enemies in the game. He shot an electrical beam in all directions and three hits from it was all she wrote for our hero. On the flipside, if you used the power you gained after beating Cutman, you could finish him off in three shots, as well. His level included many electrical obstacles that required split-second timing to negotiate. Other than Gutsman, this was likely the toughest level to get through in order to reach the boss. Iceman was a relatively easy beat if you had already taken down Elecman. He, fairly obviously, shot ice arrows at you while floating through the air. You had to jump between the ice arrows in order to avoid damage, but retaliating with your Elecman power quickly finished him off. Once you got the timing of his attacks down, he was easy to deal with. I usually saved Fireman for last because he was pretty tough. Using common sense you could figure out that the powers you gained from Iceman were the best attack to use against him. Every time you hit him, he fired a blast of fire at you. All you had to do was time your jump over it correctly, then hit him again. However, this was harder than it sounds. His attack was a large fire burst and it was easy to mess up your timing and get burned. Other than his attack being quite powerful, he was a relatively easy boss because he never left the ground and never fired at you until you fired first. So long as you timed your jumps perfectly, he was not that difficult, but timing your jumps perfectly took some measure of practice. By the end of my Mega Man playing days I could do it with my eyes closed, but when I first got the game this maneuver was one of the more difficult moves to pull off consistently. Getting to Dr. Wily was pretty tough. You had to fight past another two new bosses as well as facing all of the other boss characters again. First off is a big lava monster that shot parts of himself, boiling lava, at our hero. When he opened his eye to attack, you had to hit him in it. There was no other way to damage the guy. After him, you had to battle Cutman and Elecman again. Then you fought a Mega Man clone. He had all your powers with the minor detail that they're more powerful than yours. After you killed off your clone, they brought in someone I've seen called "Bubbleman". He fires bubbles. Scary, I know. The room has four boulders in it, hinting that your Gutsman power is probably the best way to beat him. After that, you re-fight Bombman, Fireman, Iceman, and Gutsman in that order. Finally, it's time to meet the big boss himself. 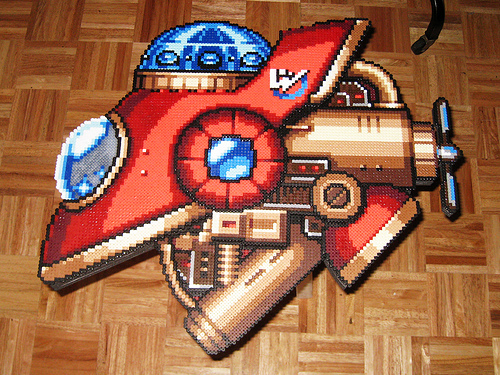 Dr Wily appeared in his red spaceship and fired at you with his cannon. After you were able to destroy his cannon, Wily's damaged ship started its last gasp attacks. His cannon and cockpit both explode and his attacks sped up considerably. Once you finally hit him enough using a variety of the powers you gained throughout the game, you win! Woohoo! The total gameplay time was probably a bit under 10 hours. It wasn't like Super Mario Brothers where you could sit down and beat it in an hour or two. Other than Zelda, it was one of the longer great NES games that required a bit of time input to finish. When you put a decent amount of time into a game, the payoff seems like it's more worth the effort than shorter, albeit fantastic games like Mario Bros. and Contra. Mega Man also took a considerable amount of time to figure out how to beat each level. Unlike today's games where, unless you're playing on Insane difficulty you can usually clear most levels with five deaths or less, I probably died 10-20 times per level in Mega Man. Games have changed considerably in that facet over time. Very few of today's games require so many attempts to clear a level or beat a mission. Although they have vastly increased in story quality, their overall difficulty has definitely dropped since the days of Mega Man and its ilk. 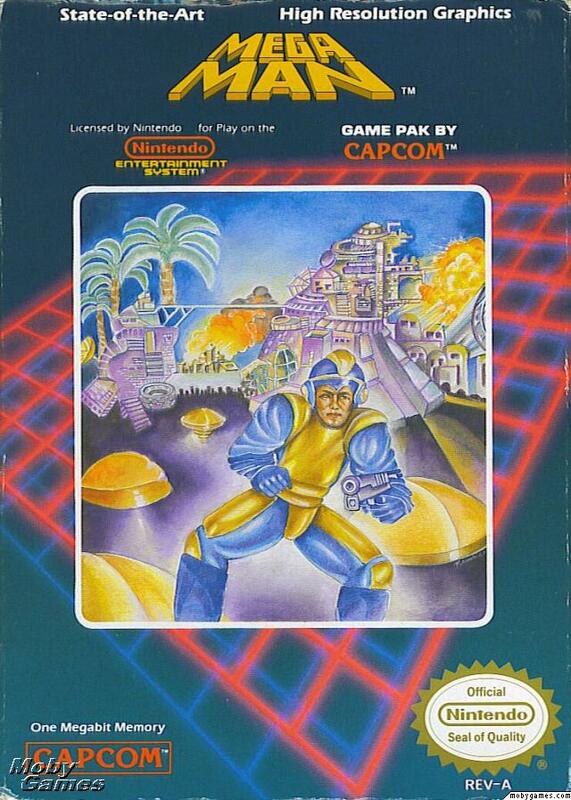 Mega Man was one of the greatest games on the original 8-bit Nintendo. Although it may have spawned a few too many sequels, the original will always hold a special place in my heart. Hopefully it does for you, too. I hope you've enjoyed this trip down memory lane. Next week I'll get back to current games and review Bioshock Infinite. See you then! Bonuses: +1 for breaking ground in games by adding the ability to add power-ups to your weaponry. Penalties: -1 for taking the easy way out by having you replay each boss in the final level. Nerd coefficient: 9/10. Very high quality/standout in its category.